A new venue for special intrest tourism in Northern Cyprus is golf brought to north cyprus courtesy of Korineum golf course. Located 15 minutes driving distance from Kyrenia in the picturesque valley of Esentepe with views of wooded green slopes of the five finger mountains on one side and the clear blue waters of the mediterranean on the other. The golf course is of an international standard with a country club catering to golfers novice and professionals alike. Its international standards are a first on the island and serves not for the sport of golf but also maintains the beauty of the area in general. The 21 holes course has been professionally designed the overall length form the tee off to the end being 6.600 yards with water and sand pits the club offers professional training on 3 holes and the rest for a enjoyable round of 18 holes game. For the more relaxed or lazy golfers there are 37 carts available. 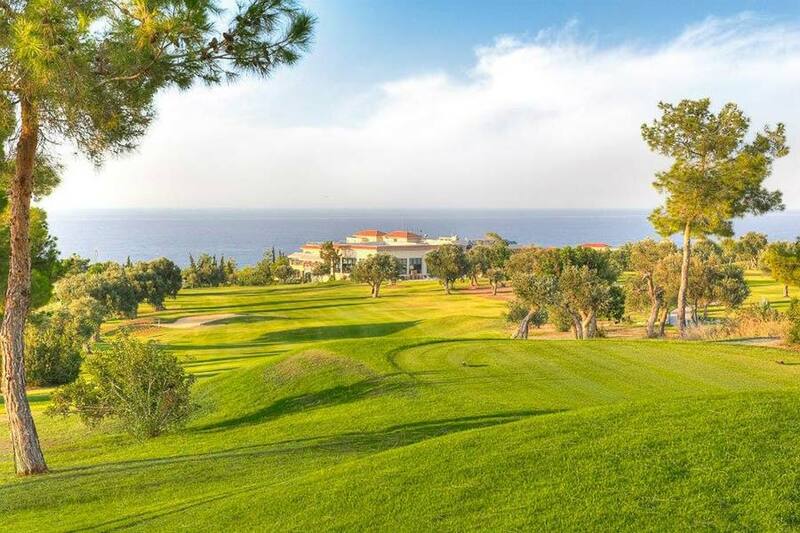 The development of the Korenium golf course is not only a first for the island but is a big leap for golf on the island prompting Yes golf in north cyprus has taken a giant leap into the twenty first century. With the newly formed committee of the North Cyprus golf federation... With the opening of Korineum golf and country club this year in Esentepe, golf entered a new era in North Cyprus. The only golf course previous to this had been C.M.C at Guzelyurt, a challanging test of golf made up with eleven hole's and eighteen tee's the greens made up with a sand composite more commonly known as browns. With the opening Korineum a championship style golf course in every way, boasting some of the best views of any golf course in the world, and a club house second to none.